All states and competent international organizations may conduct marine scientific research; they are, however, obligated to promote international co-operation in marine research for peaceful purposes and to make known all pertinent information about such projects and the results available. States are therefore to promote actively the flow of information and scientific data and the transfer of knowledge resulting from research, with particular emphasis on the transfer to developing states and the strengthening of the autonomous marine scientific research capabilities of such states. Unless otherwise agreed, communications concerning projects are to be made through appropriate official channels, and the states are to seek through competent international organizations the establishment of general criteria and guidelines to assist the former in ascertaining the nature and implications of marine research. 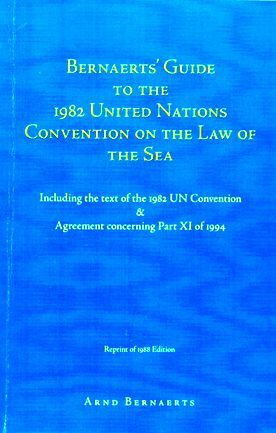 All research on the high seas, i.e., in the water column over the Area and continental shelf beyond the limits of the exclusive economic zone the water surface, and the atmosphere above, is open to all, on the condition that the basic premises of research for peaceful purposes only and some general principles, including those of co-operation are observed. In the Area, the Sea-Bed Authority may carry out marine research on its own, just a s all states and competent international organizations. The Authority is obligated to take measures to acquire technology and scientific knowledge as far as deep sea mining activities are concerned, and to promote and encourage transfer to developing states of such knowledge and technology so that all States Parties benefit. Other scientific research projects are to be undertaken with the co-operation of all states and organizations. Within the exclusive economic zone and on the continental shelf (the �outer shelf�), the coastal states have been given control over marine scientific research with very little influence left for other states and international organizations. 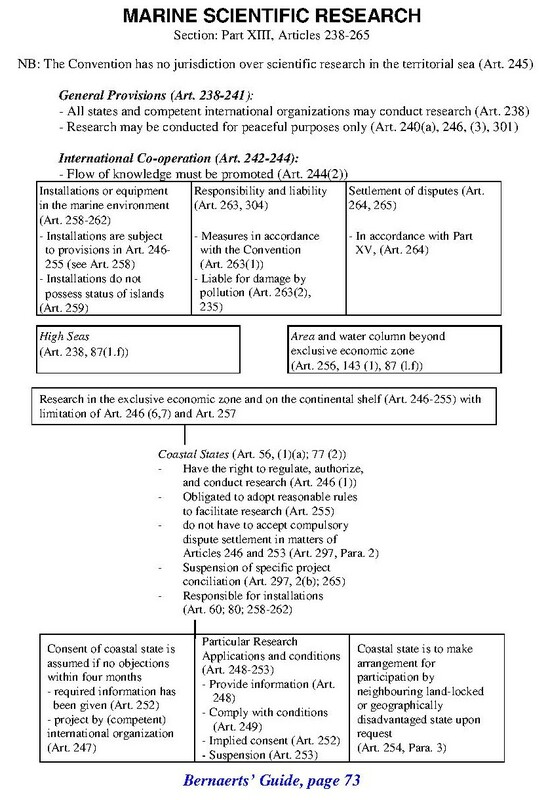 Consent of the coastal state is required for any type of research carried out in these zones, and any states or international organizations planning marine research must provide the coastal state with a detailed description of the project at least six months before the anticipated commencement of the research activities. The research must be conducted in accordance with certain requirements, in particular the right of the coastal state to participate in the project if it so desires and to suspend any research activities in progress if they are not being conducted in accordance with the information provided on which the consent of the coastal state was based or if the state or organization conducting the research fails to comply with minimum conditions. Only if the coastal state has not raised any objections or refused approval of the project within four months after receipt of the required information may the project proceed after six months; however, this procedure will not appear as much of an improvement in the eyes of the scientific community. The long-term solution to such problems will be found in co-operation global and regional agreements and the establishment of guidelines.